Colorado Event Guide - Your resource for amazing Celebrations and Destinations around the incredible state of COLORADO! Explore Colorado events including (but not limited to) Festivals, Music Celebrations, Expos, Fairs, Races, 5K & 10K events, Community Gatherings, Heritage & Cultural Events, Concerts, Competitions, Beer and Wine Festivals, Food Events and more! The Colorado Event Guide also features great hotel and lodging deals. Whether its locating a quick one-night bed and breakfast getaway, or booking that family vacation in Colorado you have been waiting for - compare our special discount lodging rates - among the best in the travel industry! The Bluegrass on the Arkansas event celebration takes place in Salida, Colorado in May. This Memorial Day weekend concert gathering is a Bluegrass delight, complete with food and drinks and fun for all. This is a wonderful free event in Salida that draws a great community of visitors, locals, volunteers, and great Bluegrass musicians. 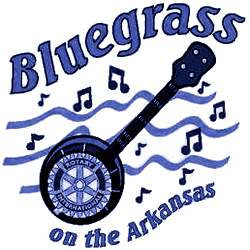 Don’t miss the kids games offered by the Rotary Club and more at this year’s Bluegrass on the Arkansas! Find Salida lodging if you are traveling to this Colorado event Colorado Lodging Discounts or discover nearby Buena Vista CO at Buena Vista Guide. 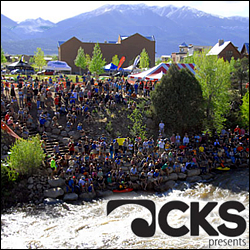 The CKS Paddlefest takes place in Buena Vista Colorado in May. Find yourself in amazing Chaffee County Colorado for this great summer paddling kick-off celebration. Top pro and amateur paddlers compete and put on amazing skill demonstrations. Featuring live music and great shopping opportunities for gear – as well as the chance to learn a thing or two from industry professionals and great educational activities and more. 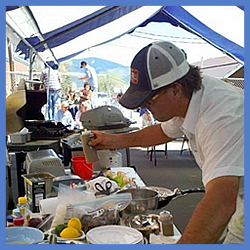 The Taste of Creede event celebration takes place in Creede Colorado in May. Find yourself this spring in the beautiful Colorado town of Creede for this food and fun activity filled weekend. Featuring live music, kids fun and activities, art demos and the art show, the bake-off challenge, a chef competition, the quick draw competition, an art auction, and more! Take in this great downtown Colorado town mainstreet event in Creede! Visiting? Discover great deals on Lodging for Colorado and more. 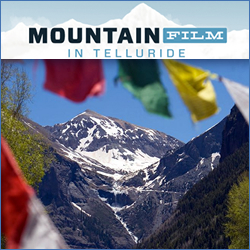 The Mountainfilm event film fest takes place in Telluride Colorado in May. Mountainfilm is a classic in terms of American Film Festivals – make your way to Telluride for this inspiring weekend of events and activities. Featuring the full-day symposium, educational presentations from special guests, exhibits on the art and photography of film, book signings, an ice-cream social, and more! Book your lodging early and don’t miss Mountainfilm in Colorado! 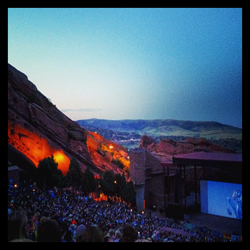 The Film on the Rocks evening of music and movies take place in Morrison Colorado in May – September. This unique series of great classics and cult favorite films is paired at each viewing event with a musical group. Enjoy your favorite movies while the evening twilight closes in over one of the most beautiful natural amphitheaters in the world. These popular events tend to sell out quickly, get your tickets and enjoy a spectacular Colorado experience! Discover nearby activities in Golden Colorado at Golden Colorado Guide. 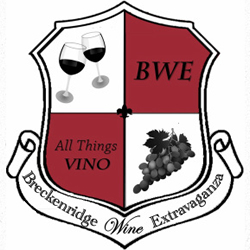 The Breckenridge Wine Extravaganza event celebration takes place in Summit County Colorado in May. This All Things Vino event is a benefit for the Breckenridge Mountain Rotary Club. Featuring wine tasting and samples from more than ten Colorado Wineries, including food stations and more from the Culinary Team at the Beaver Run Resort. Experience the Chocolate and Wine pairing, the Sunday breakfast event, and more at this year’s Breckenridge Wine Extravaganza – get your tickets today! 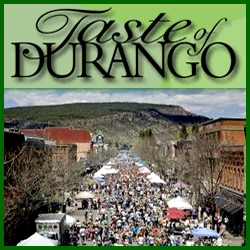 The Taste of Durango event celebration takes place in Durango Colorado in May. At Durango’s premier food and fun event, sample wonderful cuisine from local eateries and food service businesses, taste great local craft beer creations, and most of all – have a great time celebrating with the Durango community! See what food and brew creations help define this great Colorado destination – book your lodging today if you are visiting the Durango area for the festival. Discover more of Durango at the Durango Colorado Guide. 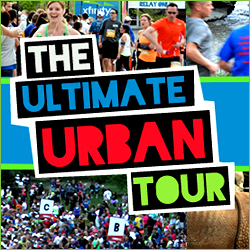 The Colfax Marathon Ultimate Urban Tour events take place in Denver Colorado in May. Come and experience Denver’s premier springtime marathon race! 26.2 mile event takes place Sunday – also includes a half marathon, an Urban 10, and a Relay. The Half Marathon race is quite popular, running through the Denver Zoo and ending in a celebration in Denver’s City Park. Saturday race is a 5K event. Discover more of Denver Colorado at Mile High Guide. 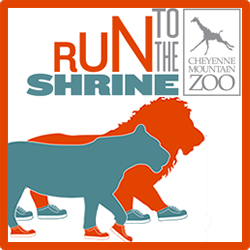 The Run to the Shrine race event takes place in Colorado Springs Colorado in May. Families and competitive runners alike are invited to participate in this fun run of 5K and 10K courses. See the stunning Colorado Springs and mountain views as you wind through the world famous Cheyenne Mountain Zoo. The race culminates in a celebration at The Lodge at Moose Lake – register early, this is a great event! Have fun attending this race in Colorado Springs, and find great deals on Lodging in Colorado Springs and don’t miss this years Colorado Springs Race! 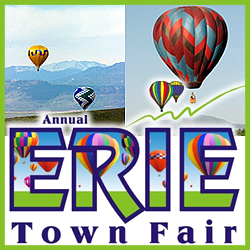 The Erie Town Fair and Balloon Festival takes place in Erie Colorado in May. Celebrate along with the Town of Erie and the Erie Chamber with a host of activities and events including over 200 vendors with crafts, arts, gifts, food, the beer and beverage garden, culminating in FIREWORKS! Also featuring wonderful entertainment by local performers, the Garage Rats Car Club car show, carnival games and fun, and of course the Hot Air Balloons! Discover great Lodging Deals for Erie CO and more!